The RoomPlace has been in business for over 100 Years! 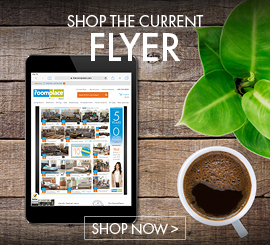 We Make Furniture Buying Easy! For those who don’t know us, The RoomPlace is all about making furniture buying easy. We start by having a bi-lingual sales team to answer any of your questions. Our showrooms feature completely furnished, coordinated rooms created by the company’s team of experienced designers. The RoomPlace concept allows you to experience a total-room concept and select the perfect design that meets your individual tastes and needs. At The RoomPlace you save on every piece of furniture you buy and save even more when you buy a complete room. 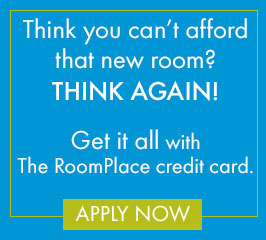 The RoomPlace also offers many flexible payment options including The RoomPlace Credit Card, third party financing and layaway. Customers who choose The RoomPlace also enjoy immediate delivery. Visit us at any of our 25 conveniently located showrooms throughout Illinois and Indiana, and find out how easily and inexpensively you can furnish your entire home.